29 years is no small accomplishment! Here at Pet Factory, we’re excited and grateful to be celebrating our 29th Anniversary this month. As the leading manufacturer of USA-Made beefhide products, we have lots of people to thank for our continued success. Shout out to our dedicated staff, valued partners, and loyal Pet Factory customers – Thank You! We could not be more proud of what we’ve accomplished since opening our doors back in 1989. At the same time, we’re super excited about what the future holds for our company and for our family pets. We’re all about our pets! Our products are designed to satisfy dogs and their natural need to chew and play. We’ve always been focused on helping pet parents to reward their pets with delicious, high-quality treats and fun toys. Established by two Midwestern dog lovers, Pet Factory got its humble beginnings making quality beefhide chews by hand in our small facility in Mundelein, Illinois. This was way before natural was popular. We’re proud to say that our chew products are The Original Natural! Folks are delighted to know that our beefhide chews are 99.2% digestible. Not only that, but they don’t contain hormones, added dyes, added sugar, added salt, preservatives, fillers, GMOs, glues, corn, wheat, gluten, grain, soy, fillers or additives. In addition, our beefhide chews are 100% grain-free. We’re all about our pets! Our products are designed to satisfy dogs and their natural need to chew and play. Today, all of us at Pet Factory continue to focus on loving and rewarding our pets. We are a pet-focused team of over 200 people who design, create and distribute our innovative top-quality pet products. Pet Factory is the leading manufacturer of USA-Made & Sourced beefhide products and we jump through hoops to satisfy your dog. When you compare our treats to others, you can see that our beefhide chews are far superior to other products; they are hand-formed, thicker and longer-lasting than other chews and are made from USA-raised cattle. You want what’s best for your dog and we feel the same way. Because of this, we’ve always taken a proactive position on quality and product safety. All of our beefhide chews are made in our GFSI-certified, food grade facility in suburban Chicago. We extend this vigilant attitude to product packaging and labeling as well, so you can be assured of the best quality for your furry friend. In fact, we were the first in our industry to offer testing transparency via innovative scan-me tags and our quality assurance IT’S Program – Inspected, Tested, Safe! You want what’s best for your dog and we feel the same way. We’ve always taken a proactive position on quality and safety. 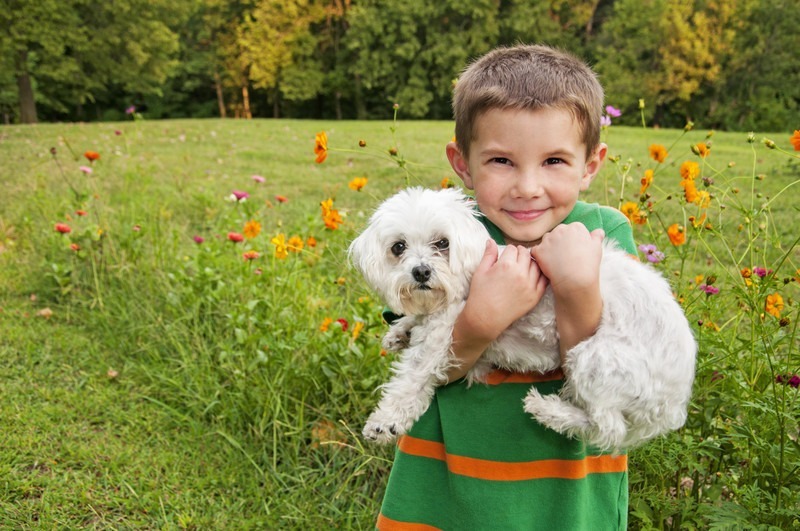 Keeping your dog happy and healthy is our priority. Over the years, we’ve expanded our offerings to include a variety of beefhide shapes, sizes, and flavors to suit the tastes of every pet. 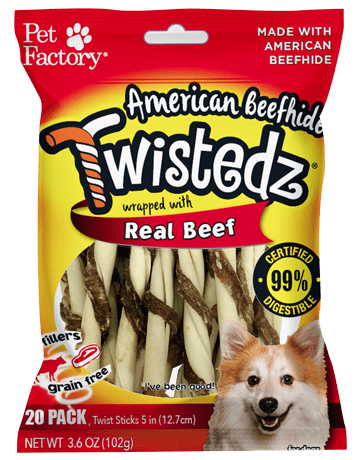 Recently we introduced Twistedz; American beefhide combo chews that twist real chicken meat or real beef meat around an American beefhide chew to create a natural chew all dogs will love. Our colorful Logical Pet toys and accessories add an element of fun and excitement to your dog’s day. 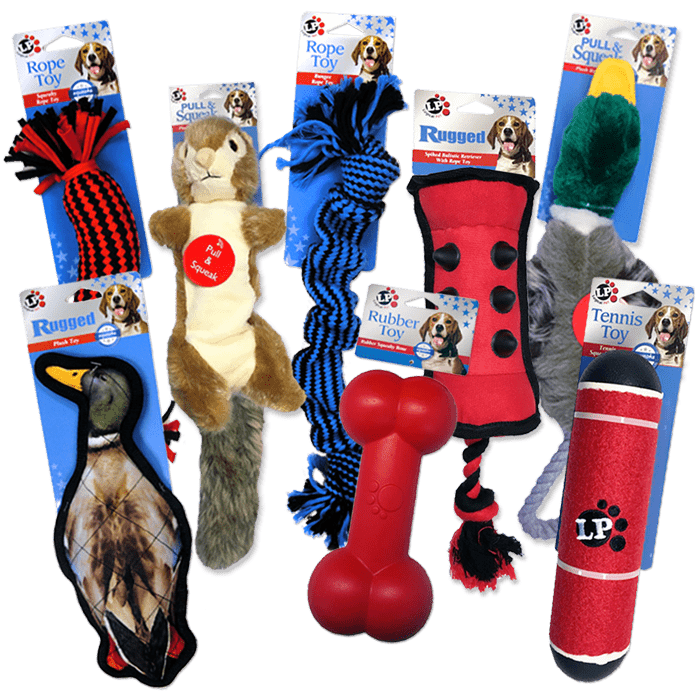 Our premium plush toys include exciting squeakers and are made with tough materials that are made to last for many hours of playing enjoyment. Our colorful rope toys promote interaction between you and your best friend and provide the added benefit of flossing their teeth as they play. Logical Pet durable rubber squeaky toys and tennis toys provide hours of mental stimulation and the benefits of fun physical activity. For heavy chewers, consider our NEW Rugged Toys; spiked-shape toys which are designed for entertaining hours of toss and retrieval. Look for quality Pet Factory products at your local pet store and at national retailers. 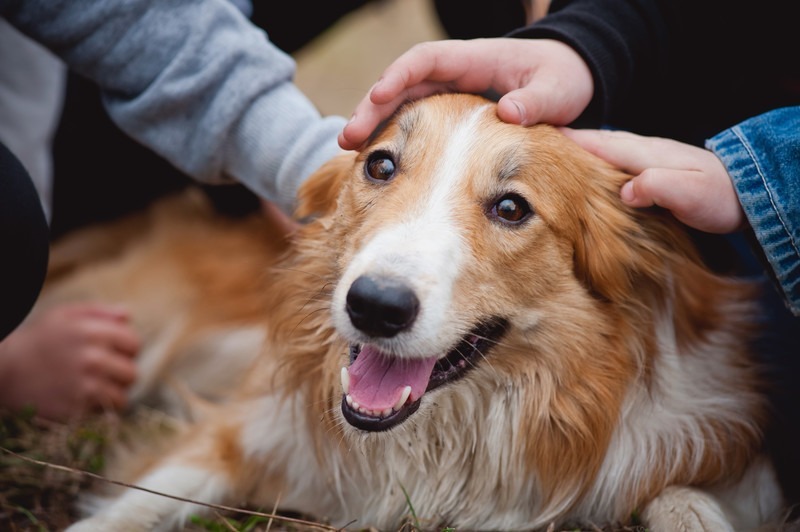 Folks who love their dog are often very caring and conscious in their purchasing decisions. Dedicated pet parents want quality, natural products for their dogs. When we offer quality treats and toys to our dogs and prioritize their health care, our efforts can yield BIG results. In many cases, our dogs will be more contented and they will enjoy improved overall health and longevity. Do you wonder which types of treats are best for your unique pet? Try delicious Pet Factory treats! Read our blog article Beefhide Dog Chews in Many Shapes and Sizes for tips on making the best choice for your unique dog. By choosing Pet Factory beefhide chews, you can be assured of the finest quality and long-lasting value – after all, we’ve been making the best American beefhide chews for 29 Years!